Two recent blog p osts this week from two very different sources spoke to me. I’d like them to speak to you, and I’ll provide Phired Up’s point of view for context. 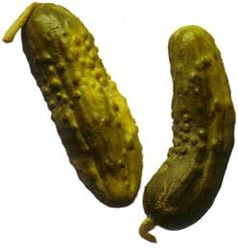 First, our great friend and a respected Fratenity/Sorority Life Professional, Jesse Koch, posted a blog about pickles as they relate to building a successful fraternity/sorority community. I like pickles. I like Jesse. And I like the message in this blog. There is no perfect pickle. There is no fraternity/sorority that is right for everyone either. The trick is to have a community composed of many variations of fraternity/sorority. Read the blog for a greater understanding (it includes a great TED video from Malcolm Gladwell too!). Another favorite blogger of mine, Seth Godin, wrote about Lady Gaga today. Interestingly, he wrote about how he wouldn’t recognize her on the street, and that he doesn’t listen to her music… and that’s o.k. His point (in my words): You don’t need or want everyone to like you. So, let me offer my point of view — inspired by those two thinkers who I strongly recommend you follow. My point of view is that you should have a point of view. Your organization needs a position, a stance, a focus, a PURPOSE. What is your organization’s purpose? (Oh, and honestly, friendship/fellowship/brotherhood/sisterhood isn’t good enough anymore). Be about something. Be unique. Be controversial. Take a stand. Make a statement. Be focused. Have a point of view. Who would join an organization that is for everybody? Nobody. If your organization is just a club of friends, why are you bothering to pay those ridiculous dues? As Jesse Koch might say, pick your particular pickle type and perfect your perfect pickle purpose, even if it is particularly peculiar. Maybe he wouldn’t say that, but it felt like a fun tongue twister to me. I was enjoying a very rare lazy Sunday afternoon recently, and while flipping mindlessly through the channels — past the figure skating, past the “Vanilla Ice Project,” past the Mr. T small appliance infomercials, and even past the bad football (Packers v. Lions game was BORING) — I happened upon one of the worst movies ever made. O.K., maybe not that bad. How about this… one of the worst Sean Connery movies ever made: The League of Extraordinary Gentlemen. Wow. That was a bad movie. O.K., put the cinematic quality aside for a second, and just think about the title. Think about it. Keep thinking. Good… now think about it more. Ladies, is your sorority extraordinary? What if you only invited truly extraordinary women to be a part? What if you were so extraordinary that you operated outside the typical recruitment process/system because you were just so darn extraordinary. You would be like superheroes..
Take the word extraordinary and hold it up next to every event, meeting, T-shirt, E-mail, conversation, and member associated with your fraternity/sorority… Do you like how those look next to each other? Choose to be extraordinary. Choose “so-good-it’s-absurd” as the standard you set for your organization. One last tip. Don’t watch that movie next time it is on TNT. Seriously, watch the Mr. T infomercial instead. The Dean’s List from this semester = Your fraternity’s/sorority’s new friends next semester. 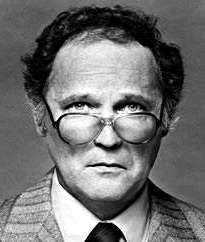 <— That’s Dean Vernon Wormer for you youngsters. In high school English most of us learned about the archetypal hero and the “hero’s journey.” The hero hears his calling, his inner impulse which drives him into the unknown. Along his journey he encounters “demons” and other obstacles that try to divert the hero from his journey, but with the aid of a helper or mentor he overcomes those obstacles and succeeds in his quest. Let’s be honest: we all want to be a hero. From early childhood playing cops and robbers we frame our lives from the point of view that we are the hero, and life is our hero’s journey. When we arrive on a college campus, we set out on our quest to find ourselves. That quest has taken us into our fraternities and sororities, and included the typical cast of helpers, demons, and obstacles along the way. We surmount odds with the ultimate goal of accomplishing great things and leaving our own legacy. If you’re the hero, what does that make those around you? What does that make each potential new member you meet? How are you framing your conversation with him? Is he a helper being recruited into your great organization to help you on your journey? Think about this: the wo/man across the table from you is undergoing their own hero’s journey. To them, you are either a helper, a demon, or an obstacle. What will it be? Next time you have the opportunity to have a conversation with a potential member, what if you made them the hero? What if your questions, your conversation, and your actions framed yourself as the helper instead, aiding and mentoring him on their own hero’s journey? What if instead of telling them about what your chapter does, you asked them what they would do with the chapter? What would people learn about that person through the chapter’s actions? How would that excite him/her? Everyone wants to be the hero, so why not give the people you interact with the chance to be? How would that change the conversation? If we strive to build successful chapters, what gives us a better chance of success than constantly recruiting heroes? Batman had Robin. Maverick had Goose. Robin Hood had Little John. Heroes and their sidekicks pervade through stories. It is hard to find a Disney movie that doesn’t show us a hero who could not have succeeded in his quest without the aid of a helper. This is not just a fantasy construct, however; the relationship between heroes and helpers is all around us in our own lives. Sports fans the world over recognize Emmitt Smith as a football hero. As the NFL’s all-time leader in rushing (18,000+ yards) and touchdowns (164 TD’s), I’d argue that even non sports fans recognize his name. How about this name: Daryl Johnston? For most, “Daryl Johnston” is a name that does not ring a bell. Daryl “Moose” Johnston is a former NFL player, a Super Bowl Champ, and now a sports broadcaster. To Emmitt Smith, however, Daryl “Moose” Johnston is the most important helper of his career. See, Moose played fullback, while Emmitt Smith played running back. The primary objective of a fullback is to lead the way, clear the path and protect the running back. For 10 seasons, Moose sacrificed the ball carries, the touchdowns, the glory, and his body to ensure that Smith would be successful. Take a look at this video, as Smith thanks Moose for being a teammate, a friend and a helper. Then I want you to dry your eyes (if you’re anything like us) and then think of the Moose in your life. How would your life be different without their help? Who are the people that need you to be their Moose? How can we put our own hero’s journey to the side and be the helper? How can you be the Moose? With a contradiction in the title (“Significance of Insignificant”), you are either intrigued or annoyed. Either way, you are looking for answers. What I hope to do with this blog is share stories of significant results from seemingly insignificant conversations (“There is that contradiction again. WHAT DOES IT ALL MEAN?!?”). Throughout my life, I have been extremely blessed with peer mentors. I valued their opinions just as much as I did their company. However, the best advice, mentorship or guidance did not come from a scheduled, sit-down sessions. The most significant conversations were actually disguised as insignificant at the time. Some were short in length, others were odd in setting, but all were authentic in nature. The simple conversations that have changed your life. The people who had those conversations with you. The opportunities in the future to “be the person” for someone else. In the summer of 2004, I was in the anxious limbo between high school and college. Worried about the transition to college life, I sought the advice of a current student, Gene Gouaux. Gene and I were acquaintances, having known one another through previous high school involvement. One night, making the counselor rounds, checking to see that all the delegates were in their rooms, Gene began to assure me that I would love the University of Southern Mississippi. We launched into a deep, hour-long conversation in the bathroom of the residence hall (Remember when I said, “odd in setting?” I was preparing you for this). Our conversation developed into Gene’s keys to a successful freshman year. Gene said getting involved was the key to my success and enjoyment in college. He was right. I got involved, and I eventually succeeded Gene as Student Body President. At the time, I knew he was a great guy looking out for a nervous 17 yr old freshman. Looking back, that conversation changed my life, and he is one of my best friends and mentors. Gene chose to be the person who had the conversation in a bathroom. As a college freshman, I was nearly certain that I would not be a member of a Greek-letter organization. Then I met Toby Barker. Once arriving as a freshman, Toby began the friendship/recruitment process. Toby was transparent, letting me know that he was a member of a fraternity, but he never pushed the issue. After a night of hanging with Toby and his fraternity brothers, I asked Toby, “What is the difference between being your fraternity brother and being your friend?” Toby thought about it for a second and delivered the best answer he could, “Man, it is really difficult to articulate that, but it is such a different experience. You just have to trust me.” It is safe to say that answer was underwhelming, but I made a decision to trust Toby. At the time, his answer was lackluster. Looking back, it changed my life. Toby chose to be the person who authentically requested trust. I am proud to say that I have been on the giving end of significant advice wrapped up in an insignificant conversation. A fraternity brother of mine, Jeff Songer, was thinking about transferring schools when he was a freshman. I gave him the most basic piece of advice anyone would think to give. I said, “Jeff, just give it a chance.” That’s it. That was my plea for my friend and fraternity brother to stay at our school. Jeff never transferred, and it wasn’t until the next spring he let me know how much that piece of advice meant to him. Jeff went on to become a leader of our chapter and a huge fan of our institution. At the time, I was just being supportive. Looking back, I said just what he needed to hear. That seemingly insignificant sentence changed his life. I chose to be the person who vulnerably asked my friend to stay. Conversations and stories like these exist a hundred times over. For example, a former National Council President of my fraternity says his Significant, Insignificant conversation happened when his future big brother in the fraternity invited him on an errand for a new toothbrush. These opportunities exist every day. When you wake up in the morning, are you thinking about changing someone’s life? No. You are thinking about the classes you have to attend, the work you have to do, the meeting you have to make. But what about the things that are not on your daily schedule? Insignificant conversations that offer support or even toothbrush shopping – Those are chances to build relationships, make memories and change lives. I sincerely urge you to be open to these insignificant conversations. Their significance can surprise you. Choose to be the person who goes toothbrush shopping. Remember the importance of every conversation – seemingly significant or not. Social Excellence blossoms through momentary choices, being present and engaged at all times, and remembering that the big moments in life aren’t always planned, but almost always happen with others. If your life has been touched by an insignificant (at least seemingly insignificant) conversation, I encourage you to reach out to that person and thank them for the impact they have made in your life. They may not know how significant they are. Our readers know that Phired Up teaches fraternity/sorority recruitment, but we also assist with expansion and extension projects around the country (starting brand new chapters from scratch). Whether you’re a headquarters professional or an undergraduate, you’ll find some helpful tips in this blog. Having been a part of almost 15 fraternity expansion teams, I recognize there are some standard methods for driving names onto a names list both before you arrive to campus and once you’ve been gotten on the ground. On some projects, my expansion partners and I have gotten fat off of the leads generated early on. On others, we had to go back to the drawing board to find other helpful practices. Let me begin this blog by outlining the methods to which I am referring. No-Bid list (students who signed up for formal recruitment but did not receive bids). 3.0 Non Greek Lists (every non-Greek student with a 3.0 or above). Do sorority referral presentations asking for some cool dudes they know that are not Greek. Question: What if the Greek Advisor does not have access to those sweet lists, and the sororities are not as helpful as you had anticipated? That is why more must be done to accumulate names on your list during recruitment/expansion efforts. These are the 5 tips to ensure you don’t find yourself in tears after the standard methods fail. You’re looking at your calendar. It looks pretty bare. You’ve only got 5 meetings booked for the day. Yikes! Despite having only 5 meetings booked, this is an opportunity to put 15-25 names on your list if you close those 5 meetings with this simple question, “Who are the 3-5 men that come to mind when we talk about this opportunity?” This is called Chunking. Students want to feel connected. Referring their friends to your recruitment effort will certainly make them feel connected. If you close each of your one on one meetings with that question, you will create a buy in with the men you sit down with and grow your names list. Read more about Chunking here. You can “chunk” at a whole new level once you’ve gotten a commitment from a few guys. We recommend that as soon as someone commits to your organization, you do some extreme chunking by using our “Mind Joggers.” Read more here. Chunking has been going well, but you need something that allows you to meet with a higher quantity of students. How can you create an atmosphere where students approach you with curiosity about what you’re doing? – Tabling in the student union or other trafficked areas on campus. Need an example of how to table in an effective way? Check out these blog posts (here, here, and here). Chunking and tabling have been working fine, but you are having trouble reaching that caliber of student that will greatly help your organization. If only quality students got together, rallied around causes and movements? Where could we find such groups? – On the universities website. Most universities have links like this one. You now have access to the contact information of every student organization president/advisor. Identify the groups whose values align with your organization and get to contacting them. Seek to make presentations at their meeting, create a focus group panel with their executive board, or meet with the president and chunk him or her. Any of those practices have proven to be successful. Some organizations we’ve had recent success with include entrepreneurship groups, service groups, politically-minded groups, honors groups, and religious groups. I was searching for a way to briefly word tip #4, but I think this works best. The key to connecting to the faculty/staff so well… is to find the one person who is connected and willing to grant you access to the faculty and staff. The Greek Advisor, Student Activities Coordinator, Student Government Advisor, Faculty Advisor of the chapter (if available) are all great places to start. It is ironic that I be the one to give this advice, because I am not strong at this. Faculty/Staff intimidate me a little. However, when my expansion partner and I crucially needed some support on a project we were able to turn to our point of contact and get connected, yielding many new leads. Use Social Excellence and take charge of campus… You own that place (or at least you can act like it). Go to large classes, attend sporting events (not just the major ones), and most importantly attend the student activities put on by the 500+ other student organizations that are probably on campus. Some examples: A professional snowboarder talks about the environment, lots of students go. You go too. The “International Students Coffee Hour” happens once a week and 100+ students mingle in the middle of the student union. You mingle too. The Women’s Center on campus screens an independent film with discussion afterward. You watch and discuss. Seriously, go to any of the 50 messy bulletin boards on campus and look at the dozens of posters for events happening this week. Build your agenda. Be socially excellent at the events. Don’t get me wrong, ask the Greek Advisor for sweet lists and make sorority presentations, but be prepared to do more than that to put names on your list. I hope at least one of these tips made you think, “I didn’t know I could do that.” The truth is, you can. Will you?